Is this a problem? I’m asking you to let me know, do you have an opinion – don’t hold back. 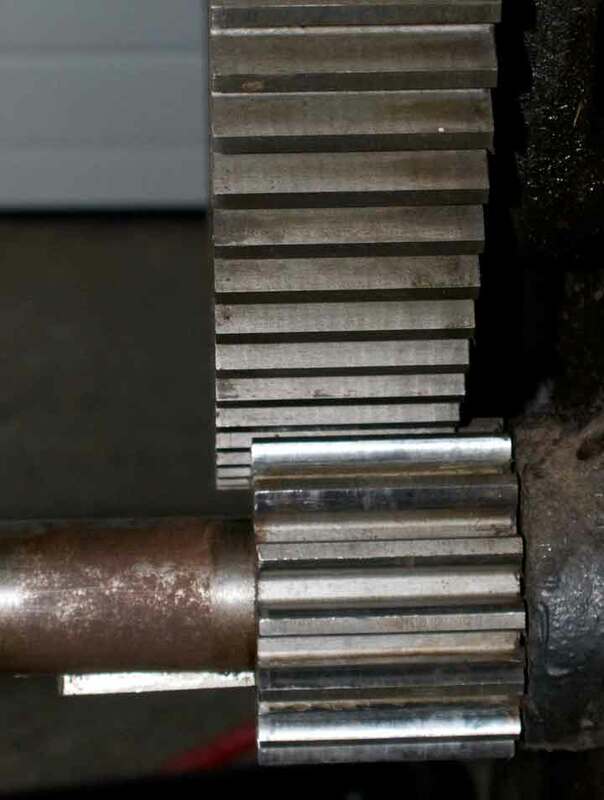 The main gear and the drive pinion are out of alignment by about 1/4 inch (on the left side). By the corrosion on the main shaft it looks like the pinion did at one time sit about 1/4 inch to the left, which would bring all of the gear-teeth surfaces into full contact. Is that something I should correct, what do you think? Looks to me like the pinion is shrunk onto the shaft as I don’t see any pin or screw holding it in place.